It’s Not Neuroscience, It’s Pixie Dust! Watch for our next part in 2 weeks. Jeff Nally, PCC is an executive coach, coaching supervisor, professional speaker. and author. He is the president of Nally Group Inc., a practice focused on the science of leadership and human interaction. Jeff is vice president of marketing for the ICF Ohio Valley Chapter, is a member and volunteer with the Gay Coaches Alliance, and is co-author of two anthologies: Humans@Work and Rethinking HR. He can be reached at Email me! and or check out my website. 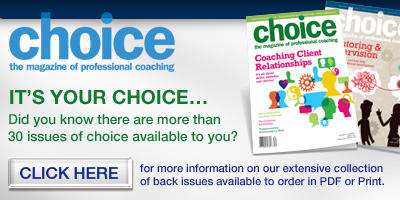 The Expert Series is brought to you by choice Magazine as part of our ongoing efforts to bring opportunities for learning and growth to the coaching community. Delivered in four parts every two weeks, each series covers useful tophttp://www.choice-online.com/expert-series-archive/ for business development and coaching insights, serving the needs of leaders in all areas and walks of life. Archived copies of previous series can be found here.